When your team are on a conference call, sometimes they might need help to swerve an objection or get clarity on a product feature. Jiminny makes it really simple to discretely coach in these situations. Within the Jiminny App, you'll see a lightning bolt in the left-hand menu. The button will slide out the list of all upcoming scheduled meetings for your team. Amber meetings indicate that the conference is not yet underway. You'll see the number of hours/minutes until the meeting is due to start. Green meetings show that the conference is live and you can join. You'll see the number of hours/minutes elapsed. 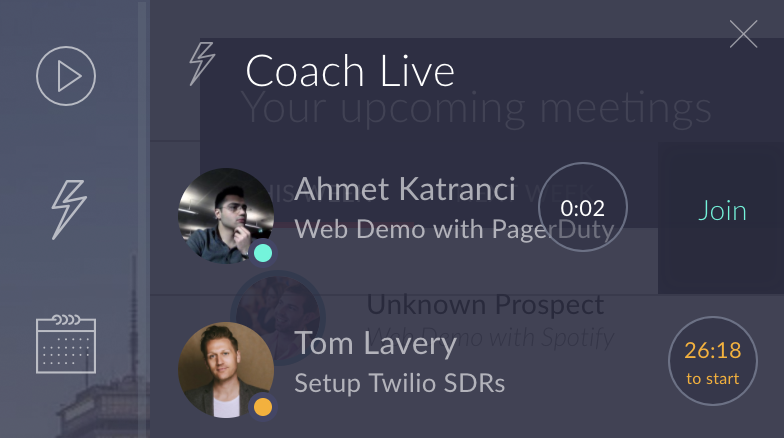 If you hover over the circle, you can click to join as a coach. You'll automatically join the Web audio and any active screen share sessions. Once you're in, no one other than your team will be aware of your presence. You can listen but will be muted, so it's a one-way audio. 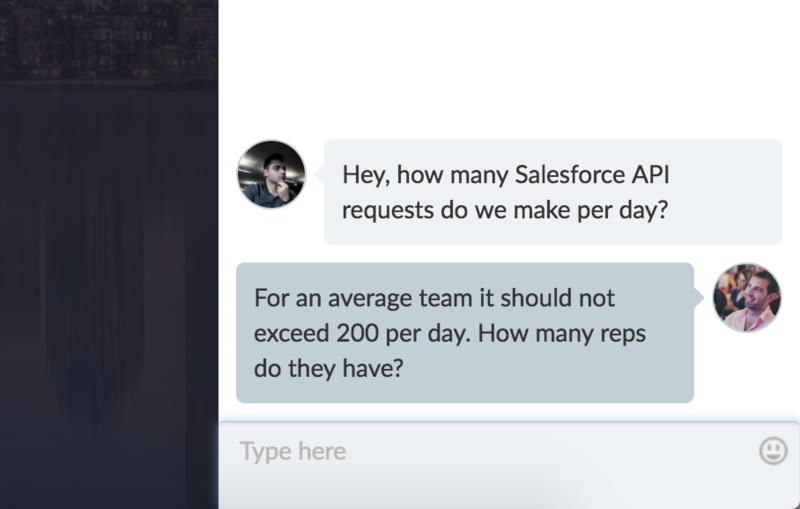 If your team uses Slack, you might also be invited (or wish to request help!) through there using a slash command. Once you're in the meeting, you can access the private chat channel through the red whistle button on the right. Your conversation will be private between you and your team, and you won't be able to write in the public chat channel. You can also listen and take notes. These will be stored on the activity for future reference. If you're being coached, the red whistle button will pulsate so you know you've got messages to read when convenient. Note: if you dial directly in to the meeting using a telephone, you can still mute yourself and listen in, but the other participants will be aware you're there.